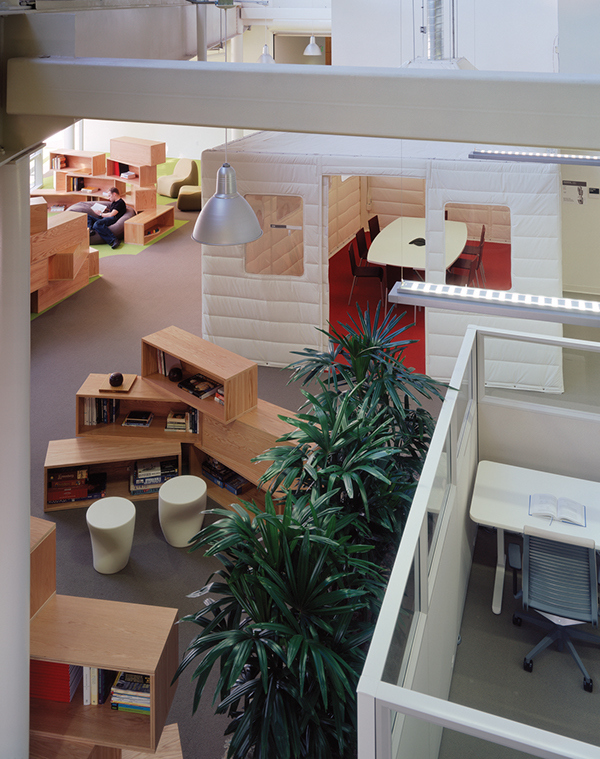 The design integrated highly focused software engineering workspace with learning, meeting, recreational and food facilities, working with the existing conditions of the inner courtyards and the building shell.A sustainable energy-conserving environment was a high priority, and most building materials used were either cradle-to-cradle products, or contained high recycled content. 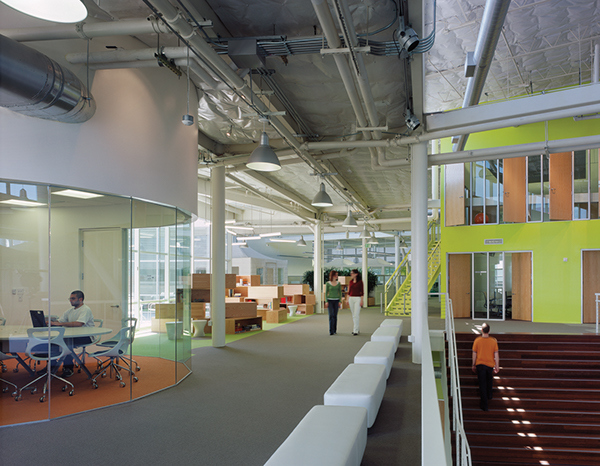 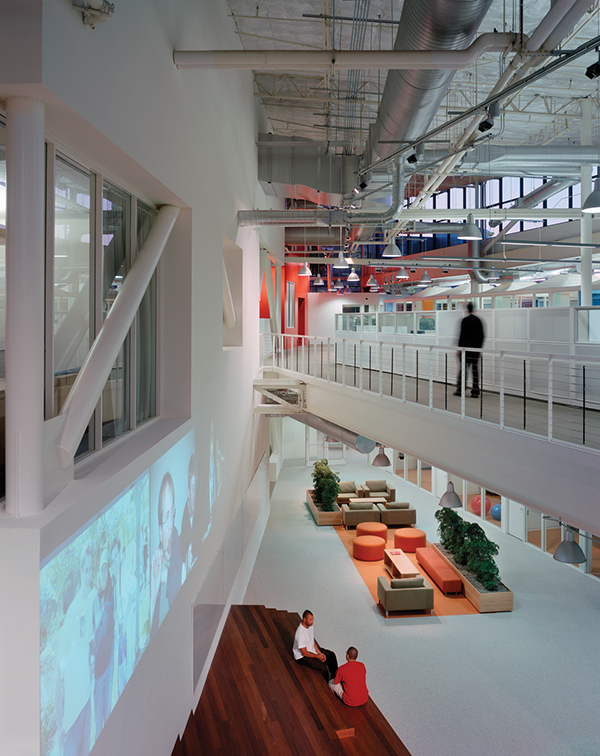 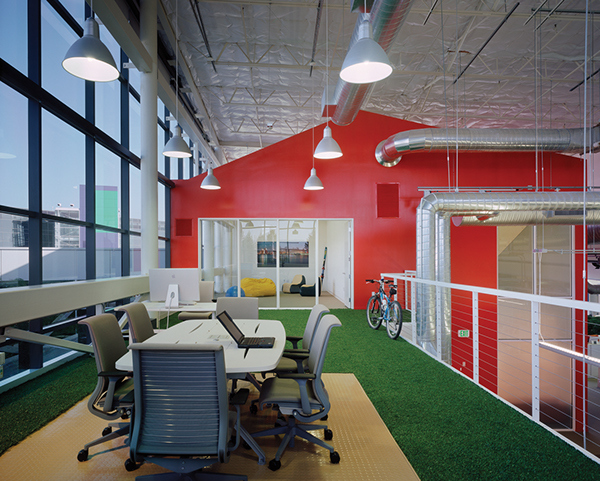 Doors culled from previous build-outs were used on the two-story tower elements as windows, and open workstations were recycled product. 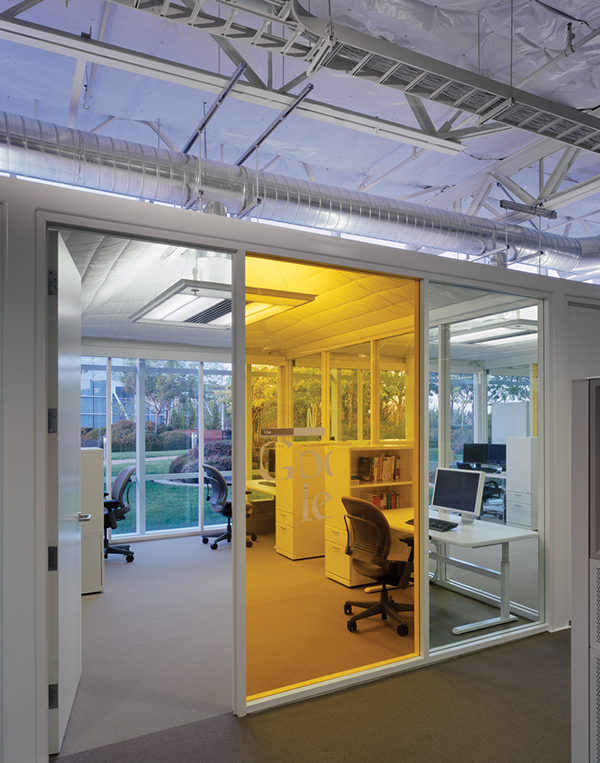 To solve the need for a large number of perimeter workrooms, we developed a glass enclosed 3-person workroom with absorbent tent ceilings to soften sound transmission. 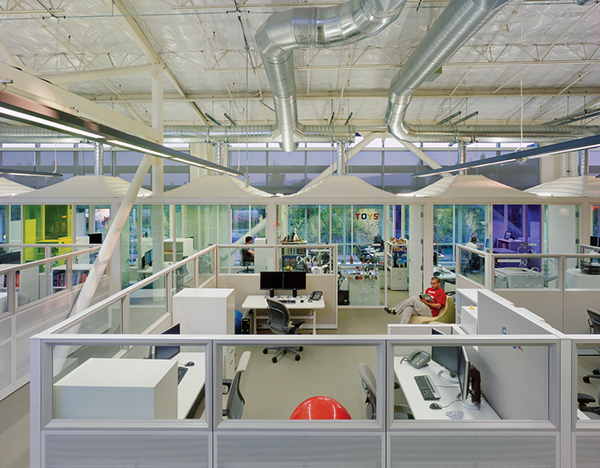 This ‘Glass Tent’ office system not only satisfied privacy needs for concentrated work and retained access to light and views, it also provided a solution for rapid construction, accommodating Google’s immense expansion curve. 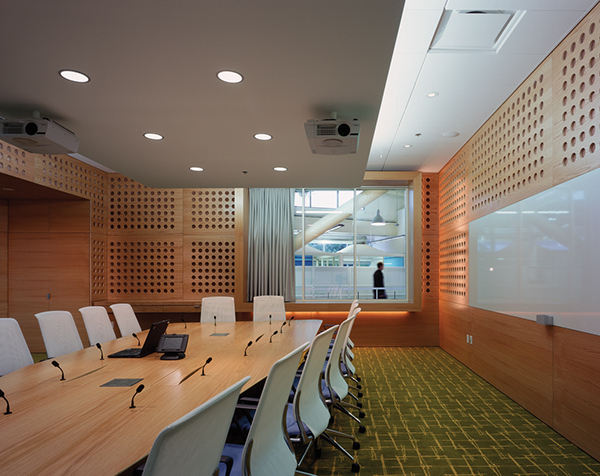 The project was completed in record time.